Microporous ceramics are a kind of silicate products. The raw materials used are barren clay, waste slag, power plant fly ash and glass plant waste, which will play an important role in protecting the environment and saving resources. Microporous ceramic is a functional structural ceramics. Microporous ceramics, such as adsorbability, permeability, corrosion resistance, environmental compatibility and biocompatibility, are widely used in the filtration of various liquids, filtration of gases, and immobilization of biological enzyme carriers and biocompatibility carriers, especially in environmental engineering, such as industrial water and domestic water treatment, The purification of sewage and so on. (1)Take the composition of microporous ceramics into the ball mill, seal ball milling, and get the powder after ball milling. (2)The powder after ball milling is added into a mixed solution and stirred into mud, then put into a plaster mold and extruded and taken out. The mixed solution is a mixed solution of organic solvent and water, and the volume percentage concentration of organic solvent in water is 30% ~50%, and the organic solvent is a alcohol that can be mixed with water. (3)The products are dried naturally and then dried in a oven. The temperature setting of the oven is set from 50~60 C to 5~10 C every half an hour, gradually rising to the constant temperature of 70~80 C, and the products are dried. (4)Wrap the dried products one by one with kraft paper. (5)The dried product wrapped in kraft paper is fixed on the SiC plate, and the heat furnace is set in a high temperature electric furnace to get the microporous ceramics for tungsten smelting. The tungsten ore samples were added to the tubular microporous ceramics, and the sodium phosphate (Na3PO4 12H2O) inhibitor was added to the 2 millimoore per gram of tungsten powder. The microporous ceramic tubes, which had been loaded with tungsten ore samples and inhibitors, were placed in the polytetrafluoroethylene digestion tank, and 4 M NaOH solution was added to the digestion tank and the microporous ceramic tube. With the microwave digestion instrument, the polytetrafluoroethylene digestion tank was raised from normal temperature to 135-150 ℃ in 15 minutes with a microwave digestion instrument in 15 minutes, and the heat preservation stayed for 15. A little cooling was made to open the closed cover of the digestion tank and remove the microporous ceramic tube, and the sodium tungstate was filtered through the microporous ceramic tube. The extraction rate of sodium tungstate is more than 92%, and 2 times after adding NaOH solution without extraction, the extraction rate reaches 99%. 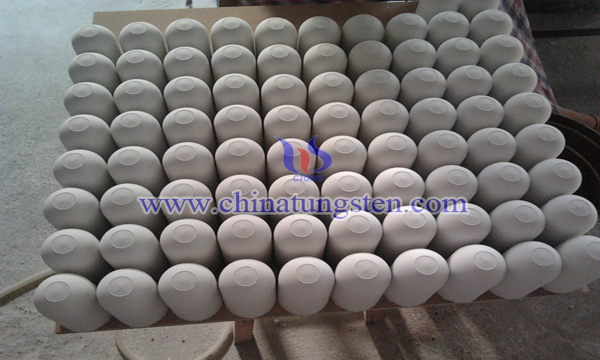 It can be seen that the microporous ceramic materials are used in the wet process of tungsten smelting, which saves the reaction kettle and the steps of filtration and separation, and uses the efficient microwave heating technology to filter and separate sodium tungstate automatically. Compared with the existing technology, it has the advantages of high efficiency, low cost, energy saving and environmental protection. It is suitable for industrial application.